1. There’s really nothing wrong with your hair. It’s long, it’s pretty healthy and it’s normal. 2. You start to convince yourself there’s something horribly wrong with your hair, like irreversible damage, because you noticed a few more split ends than usual. 3. Then Jennifer Lawrence (or any other celebrity who is currently chopping off all of her hair, because they’re all doing it) gets a pixie haircut. 6. You start playing around with a virtual Try On! Tool to see how that pixie would look on you. 7. After 2 hours with the virtual makeover and 4 phone calls (your mom, your best friend, your hairstylist and your best friend again), you convince yourself you need a pixie haircut. 8. You go to the hairstylist, Pinterest hairstyle inspiration in hand, to get the haircut that will change your life. 9. As you sit in the chair, you start sweating a little bit. This moment is life changing. You’re allowed to sweat a little bit. 10. The scissors come out and you question the decision for a minute, but it’s too late now. Hair is dropping to the floor. 11. 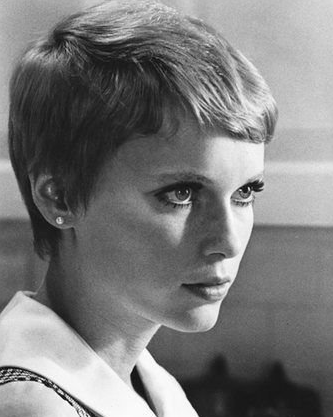 You panic for a minute and you wonder if this is the haircut Tyra would’ve chosen for you if you were on “America’s Next Top Model.” Would she have ordered the Mia Farrow haircut from “Rosemary’s Baby” for you? You may never know now, but the room starts spinning and you’re full on freaking out. 12. Your hairstylist (let’s hope you went with a good one!) reassures you that you’ll look great. 13. After an hour in the chair, your hair is cut and blown dry. 14. And you feel amazing. Where are the paparazzi? Why have they not taken your photo yet? 15. The selfie storm begins on Instagram. You likely choose either X-Pro II or Walden for a filter, depending on your personality, because you’re keeping things classy. 16. Your pixie confidence grows with each double tap you’re notified about (Spoiler alert: You will get a lot of likes). 17. Barely having to style your hair in the morning is the best thing that’s ever happened to you. See you later, 30 minutes of blow drying! 18. After about three weeks, you start feeling this hole in your heart. It’s where your long hair used to be. 20. You put in an order for six bottles of Biotin and you go on an all fish diet to make your hair grow. 21. Your hair grows about one inch in the span of two months, and you practically throw yourself a party. 22. 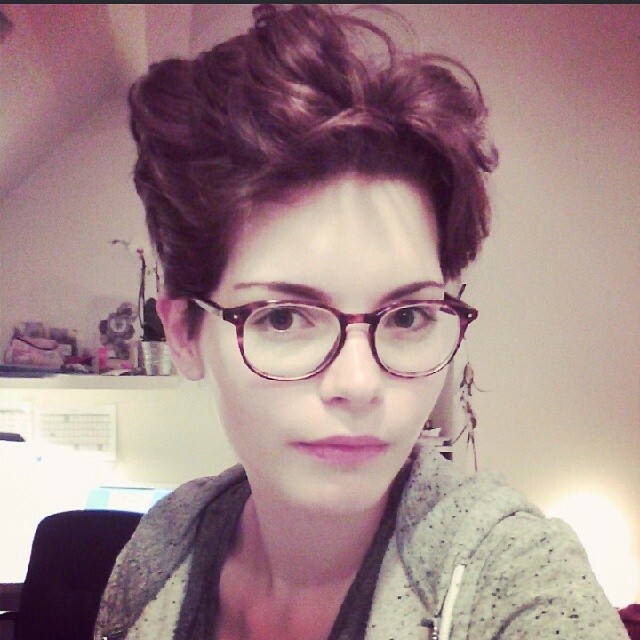 After realizing that you have a pixie and will now have one for a significant period of time, you learn to love it. You actually start to love it so much that you never want to go back to long hair again. You’re at the prime of your life and you don’t want to come down from this feeling, and you’ve decided you’ll go buy a shirt that says “Short Hair Don’t Care” and put it into your regular three week rotation of outfits. Your friends start referring to you as “my friend with the pixie cut” in conversation, and you’re okay with it. You’ve got a look and you don’t plan on changing it anytime soon. Maybe you’ll even meet Jennifer Lawrence and become best pixie friends. 23. Then you see the Victoria’s Secret Fashion Show and you’re back in the dark abyss of wanting long hair. At least Karlie Kloss is keeping short hair alive.